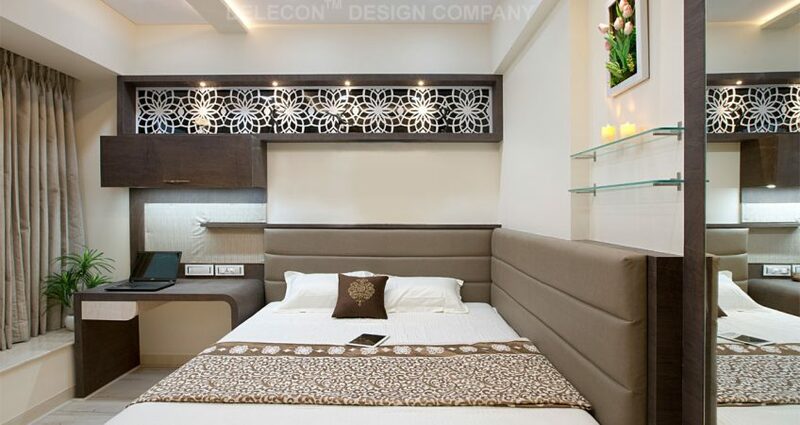 Interior Designing is the art of uplifting the interior of a space. This leads to achieving a healthier and more pleasing environment for the inhabitants. There is a great association between the various colours on the spectrum and the impact they have on the mood, feel and symbolism in a particular space. According to colour psychology, vibrant shades like yellow and orange encourage socializing, while darker shades such as purple and brown reflect a bit gloomy feel. Lighting is one of the primary elements in the conception of interior designing. It can help to dramatize shapes and textures of materials, enhance aesthetic features and create depth and volume in a space. The quality of the sort of illumination in spaces makes all the difference to the health of the occupants. It can evoke positive or negative emotions in people. The size and the spaciousness of the room may also influence the occupant’s mood. The height of the ceiling may also arise a feeling of either freedom or confinement in a person. The placement of plants has also proven to improve one’s mood, retention power as well as the level of concentration. It is believed that the proximity, sight and presence of natural elements reduce levels of stress. The texture and shape of the furniture in the space being occupied also create an impact, which can be explained with an example of the use of wooden elements have been known to be linked to health and personal growth. A settled and comfortable room can be figured out, by the way, its interiors have been worked upon. A space can have modern, contemporary or old-styled interiors, depending on the requirement of the customer and the prevalent age groups in the house. For instance, the millennials would choose modern interiors like differently shaped furniture and lightings, whereas a senior citizen would resort to softer floorings or proper a well-lit space safer fixtures. The middle age segment would appreciate something informal that blends with the classic forms as well.